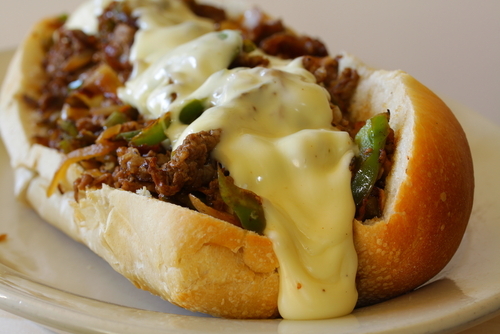 We’ll be celebrating by shoving greasy, gooey, delicious Philly cheesesteaks into our faces. [pullthis]Now, we’re not going to take sides in the whole provolone vs. Cheez Whiz Debate. [/pullthis] We’re not even going to offer an opinion on raw vs. cooked onions. And peppers? Well, you’re on your own for that decision. [pullshow]What we are going to do, however, is let you in on our favorite cheesesteak joints in San Francisco. We love The Cheesesteak Shop, Jake’s Steaks, and Metro Caffe (with tater tots on the side, naturally). In case you missed the banh mi kickoff last week, the mission of Sandwich Club is to eat sandwiches. 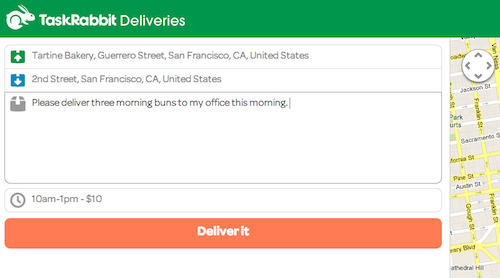 We’ll be carrying out this mission all month long using the exclusive-to-San Francisco Deliver Now feature on the free TaskRabbit iPhone app. Wanna join us? 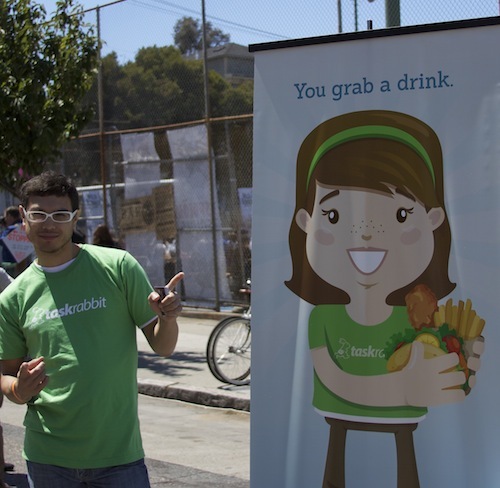 San Franciscans who use Deliver Now for sandwich delivery four times will receive the 5th delivery on us. That’s a pretty tasty deal. August is National Sandwich Month. Do you understand what we’re saying here? National. Sandwich. Month. Shoving sandwiches in your mouth on the daily is totally acceptable until September 1st. Here at TaskRabbit HQ, we intend to honor the sandwich as fully and deliciously as possible. That’s why we started a little thing we like to call “Sandwich Club.” The mission of Sandwich Club is to eat sandwiches. 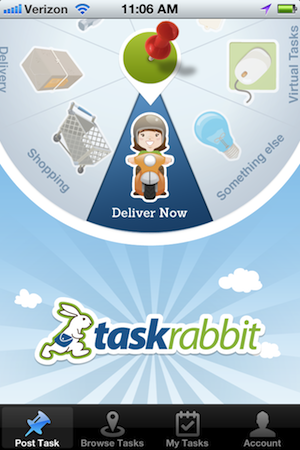 We’ll be carrying out this mission all month long using the exclusive-to-San Francisco Deliver Now feature on the free TaskRabbit iPhone app. Wanna join us? 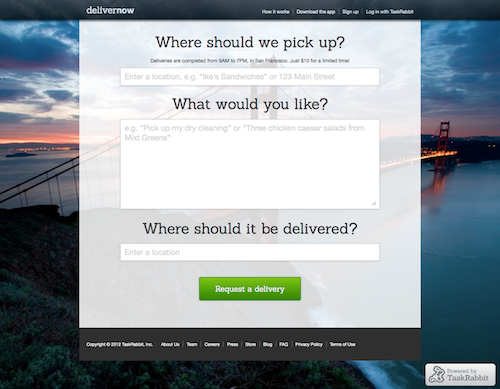 San Franciscans who use Deliver Now for sandwich delivery four times will receive the 5th delivery on us. That’s a pretty tasty deal. 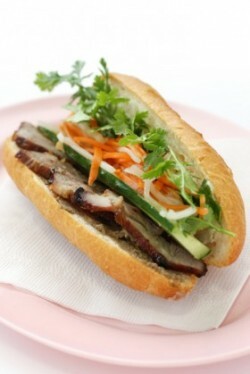 Today, we begin the festivities with a delightful banh mi. What sandwich will you have for lunch today?